We regularly add new and interesting gift items to our collection. Would you like to Engrave this item? This product can't be engraved on it's front! The Engraving preview is a guide only. The actual positioning of text may differ slightly. Note: This has a Gold coloured top and a Gold band around the window which looks very smart. 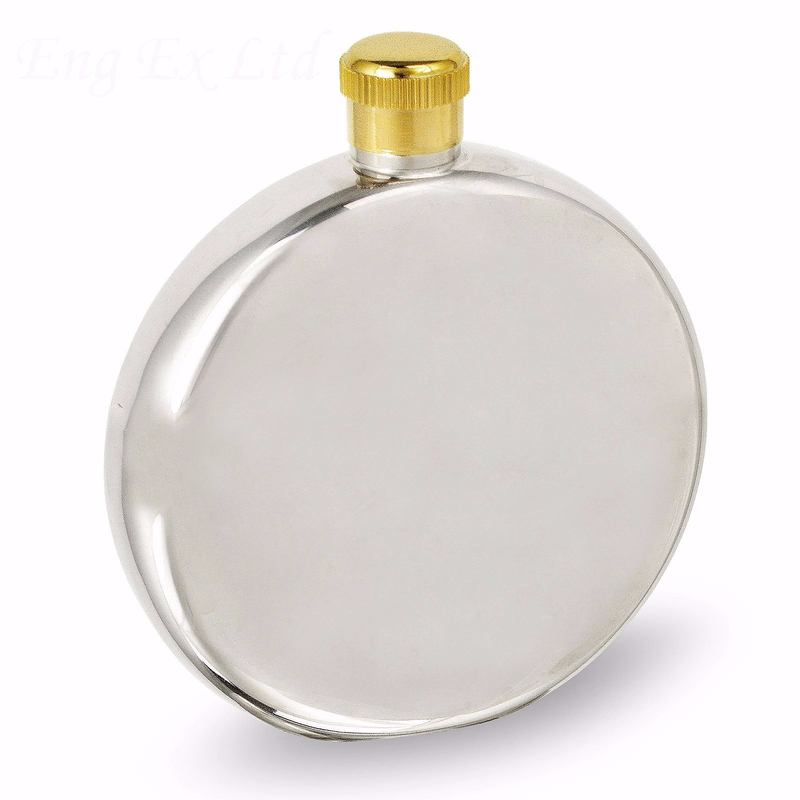 This 5 oz flask is beautiful stainless steel with a unique round design and a clear window so you can see the liquid level remaining. 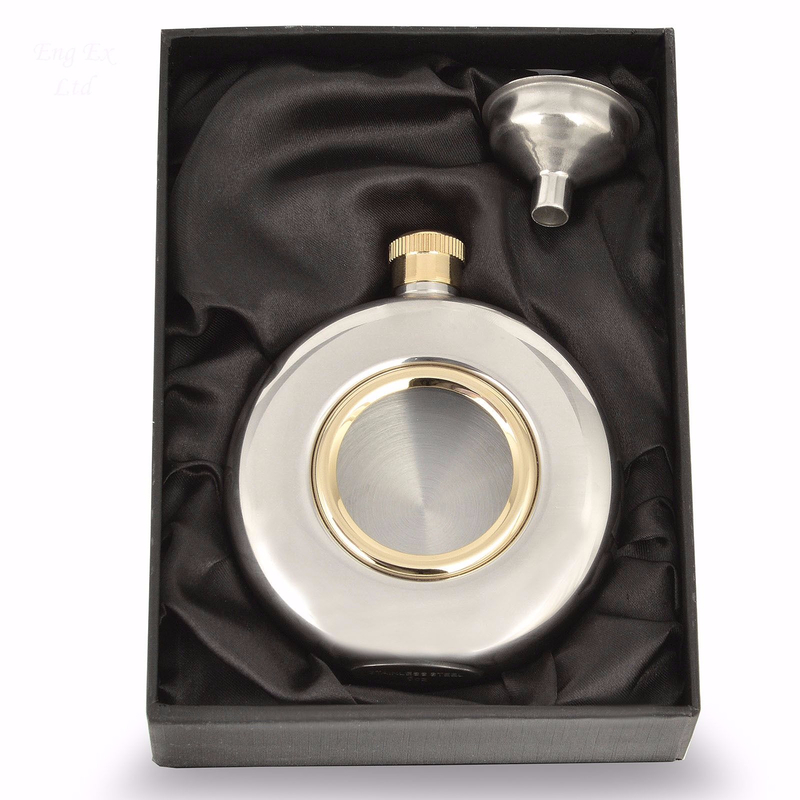 This flask is supplied in a black presentation box with satin lining. 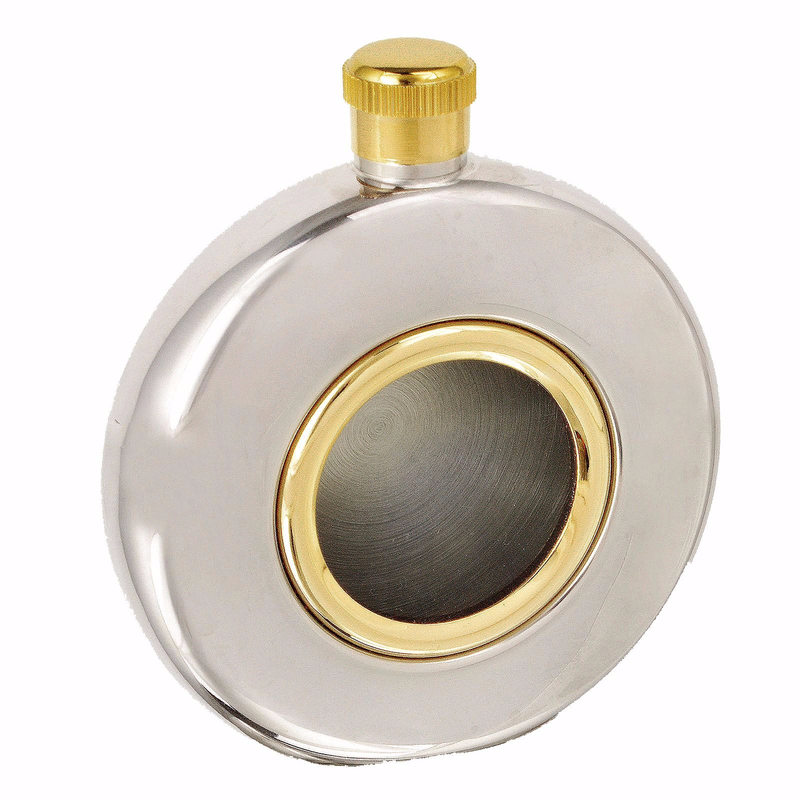 This contemporary gent's hip flask makes the ideal gift for the man in your life. Whether for a tot, a nip, or a wee dram of whisky, brandy, rum or any other warming spirit - this gift is perfect as a present for members of your wedding party from Best Man to Usher. Personalised gifts show that you care - whether it is for your dad or your husband for any occasion from Father's day to a wedding anniversary or a birthday. The hip flask also makes a perfect thank you for business colleagues and executives. The hip flask is made of stainless steel so it won't rust or corrode. ensure you get the best engraving possible. Shipped by first class post for a speedy delivery. Flask dimensions - 10cm high, 8.5cm wide, 2.5cm deep. On this hip flask we engrave up to 5 lines of 25 characters each (including spaces). We use computerised engraving machines for professional quality results every time. All engraving carried out in our Birmingham office by our skilled engravers.